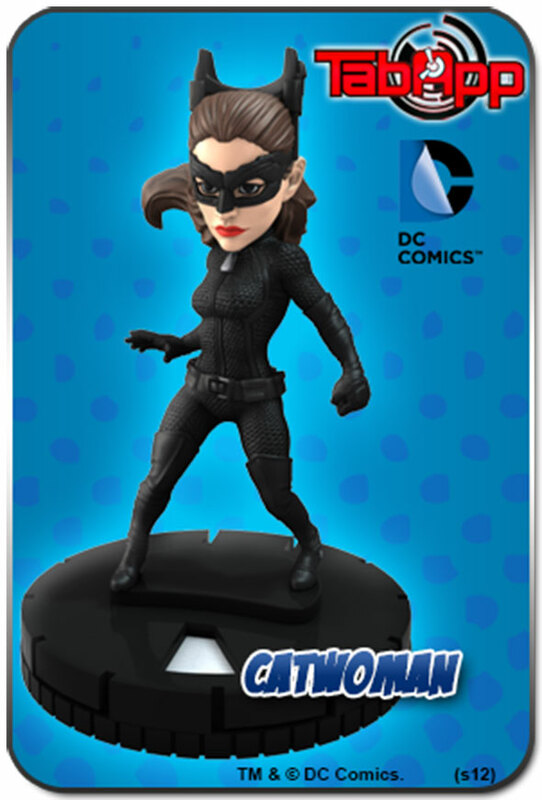 Hillside, N.J.—November 15, 2012 — Developers of HeroClix TabApp™ today announced the availability of new game content, which includes six DC Comics Super Hero figurines that can now be found in stores. In addition to the new DC Comics Super Heroes, the update includes over one dozen new maps, more than 30 DC Comics Super-Villains, and all new storylines and comic panels. The DC Comics figures are available at Toys R Us, Walmart and hobby shops in packs of three at $14.99 each. 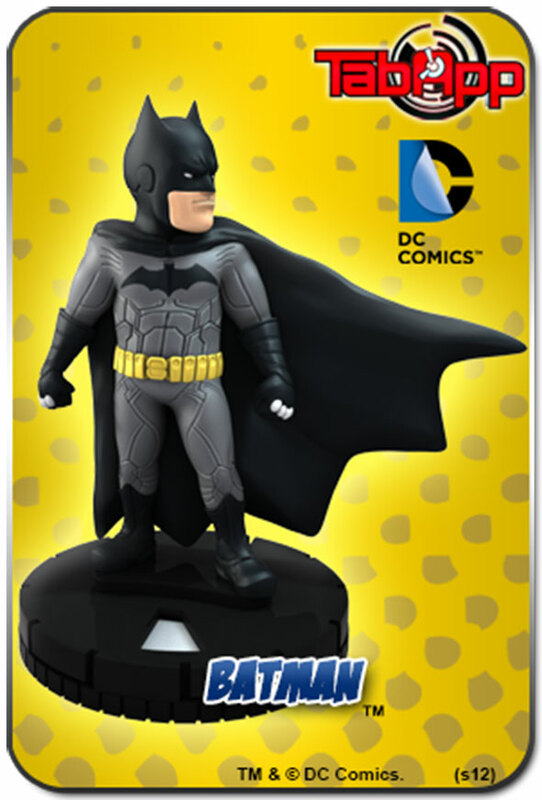 The DC Comics Super Heroes pack includes Superman, Wonder Woman and Batman and ”The Dark Knight Rises” figure pack adds Batman, Catwoman and Bane. HeroClix TabApp™ can be downloaded free on the App Store™. 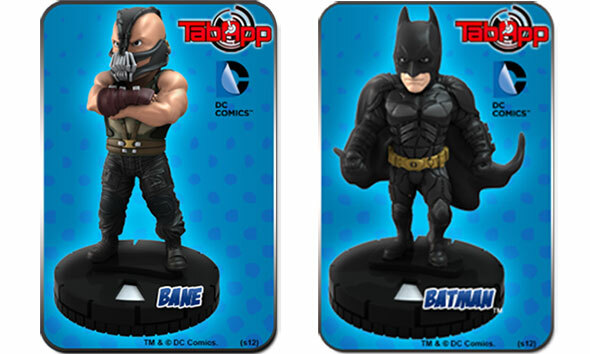 For a list of participating retailers and more information about HeroClix TabApp™, visit www.heroclixtabapp.com. For updates, follow HeroClix TabApp™ on Facebook and Twitter. Inspired by the tabletop game, HeroClix TabApp ™ is the latest addition to the HeroClix family. 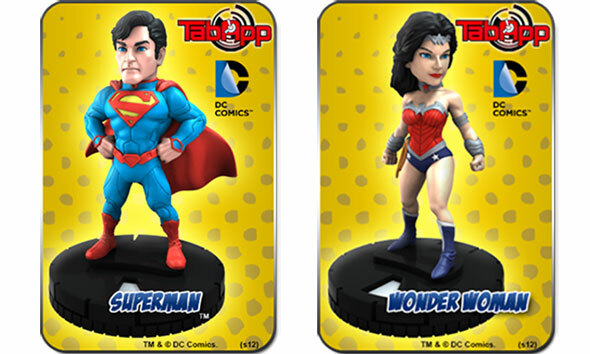 Ideal for youth (8+), yet fun for all, HeroClix TabApp combines digital gameplay with physical super hero figures. A great introduction to the world of HeroClix, HeroClix TabApp™ is an exhilarating, fast paced action game, where YOU become the Super Hero! BATMAN, SUPERMAN, WONDER WOMAN and all related characters and elements are trademarks of and © DC Comics. A wholly-owned subsidiary of the National Entertainment Collectibles Association Inc. (NECA), WizKids is a New Jersey-based game developer and publisher dedicated to creating games driven by imagination. The HeroClix brand is the most successful collectible miniatures games on the market today, with over 250 million miniature game figures sold worldwide. For additional information, visit www.wizkidsgames.com.